It’s time to step into a new era. These Reebok Men's RB4252 Grey ZPRINT Work EH Steel Toe Athletic Oxfords feature advanced technologies to take you a step above the rest. They're made with a number of 2018 comfort technologies, and they have steel safety toe cap ... (see full details) (see specifications) #RB4252. It’s time to step into a new era. These Reebok Men's RB4252 Grey ZPRINT Work EH Steel Toe Athletic Oxfords feature advanced technologies to take you a step above the rest. They're made with a number of 2018 comfort technologies, and they have steel safety toe caps and slip-resistant, static dissipative outsoles for your protection. These men’s steel toe oxfords are made with MemoryTech and MemoryTech Massage technologies and truTech Energy Absorption and truTech+ Energy Rebound technologies. The MemoryTech technologies work by allowing the footbeds to form to the natural contours of your feet. In doing so, you're given immediate cushion and a unique comfort. The truTech technologies are effective at keeping your feet energized instead of exhausted. Even after a few hours, you won't feel the ache associated with foot strain. You'll be able to keep on moving, and that's because of the truTech technologies in these Reebok safety toe shoes. These men's slip-resistant athletic oxfords are designed with foot mapped 3D foam midsoles and a dense outer rim compound that work to bring your feet comfort and reprieve from strain. The foam midsoles supply your feet with resilient cushioning, and they're crafted with deep flex grooves that make for support underfoot. The dense outer rim compound can give you solid support and abrasion resistance. The support is useful, as it can decrease soreness. The abrasion resistance is superb at extending the lifespan of the grey steel toe EH shoes because it makes them more durable and resilient to harsh objects and surfaces that would otherwise cause wear and damage. These men's grey ZPRINToxfords are designed with strategically-sized rubber nodes on the soles for increased flexibility, which lets your feet move in a more natural way. But the strategically-sized rubber nodes are more than just flexible. Specifically, the nodes also make these men's athletic work oxfords slip-resistant. They're so slip-resistant, in fact, that they receive the Mark II Low Contaminant SR rating. The steel safety toe caps included in these Reebok slip-resistant shoes make them compliant with the rating ASTM F2413-11 I/75 C/75 SD. The safety standard measures protective toe footwear on their ability to withstand drop impact and compression without damaging your toes, and these grey oxfords passed. The end of the rating signifies another protective quality: static dissipation. The soles on these steel toe shoes feature static dissipative dual resistors that exceed the requirements for the standard. It’s as if these Reebok Men's RB4252 Grey ZPRINT Work EH Steel Toe Athletic Oxfords from Working Person's Store are from the future. When you step into them, you just might feel like a new you. 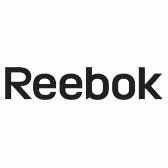 Reebok Shoes: Men's RB4252 Grey ZPRINT Work EH Steel Toe Athletic Oxfords is being added to your cart.